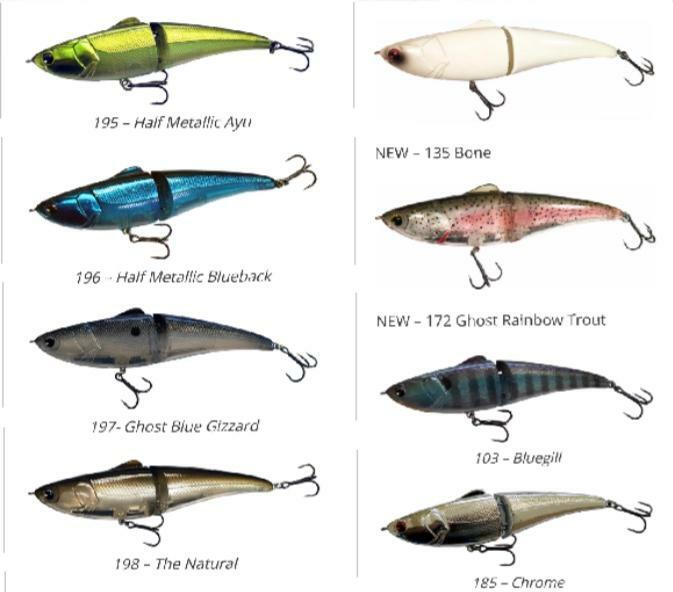 The glide bait category is littered with different baits, a bit of a gold rush in the last few years. Although there are a lot of great baits on the market, there a very few that are as versatile as the lMA Glide Fluke. Originally designed by Michael Murphy to imitate Blueback Herring on the east coast California Bass smash them just the same! The Glide Fluke comes in a ton of productive colors and two sizes to cover almost all situations, the 125 and 178. Both sizes are also available in floating or sinking models. 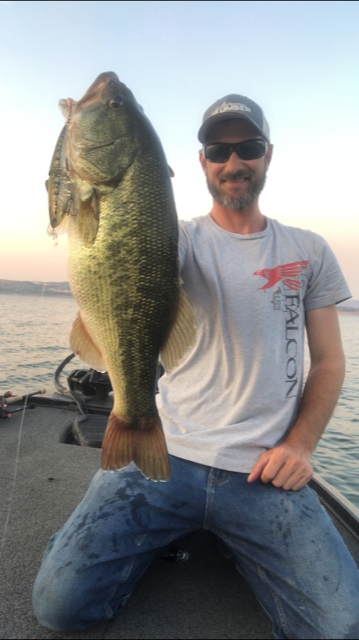 The 125 is a year round producer and really shines here in Northern California in the mid spring through the late fall matching the forage of baitfish like shad, bluegill, Kokanee, baby bass and trout. 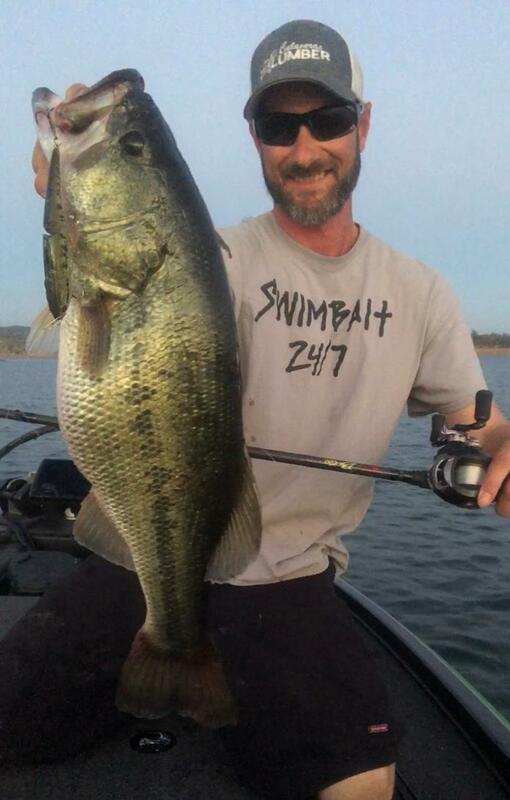 The 178 is also a perfect year round size, matching early spawn forage and yearling fish. 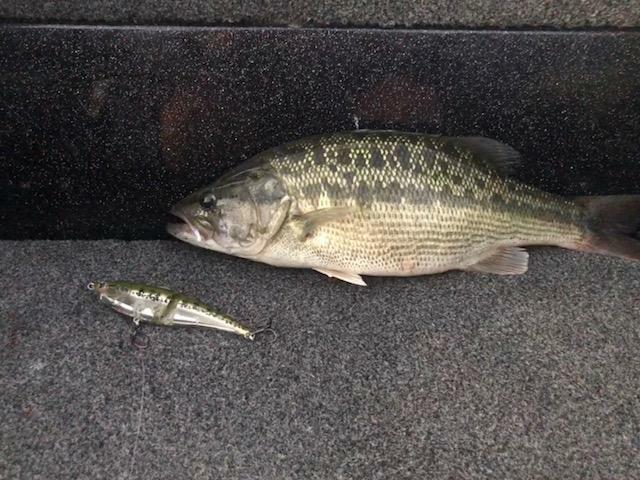 Definitely a more appealing size for the larger bass looking for a big meal. With retrieves, they vary greatly and that’s the point with the Glide Fluke. Your standard glide bait most likely is best worked with the slow rolling action and possibly a few twitches if it doesn’t foul or roll over. That’s where the Glide Fluke is different, it’s designed to work on both a slow glide or high speed swims with twitches. The name “glide-fluke” is just that a hybrid action. Often times I find the fish react differently day to day, (sometimes hour to hour) wanting a fast retrieve with lots of darting and the next a slow methodical one with an occasional pop pop. Rather than run through different baits to figure out which action is best through the day, I opt for the Glide Fluke. I can more effectively break down what action that is best only using one lure. I almost always start out trying to find a power glide bite, a fast retrieve with lots of rod pops and drawn out glides much like fishing a soft plastic fluke. If the fish are not responding I starts slowing down with a more subtle slow roll approach and throw in an occasional pop-pop using the rod or glide-glide using the reel. 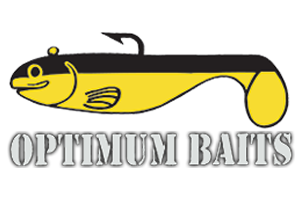 One of the most distinguishing characteristics of this bait is how it transitions action, you can literally get this bait to do a 180 with rod pops and then seamlessly go into a wide glide without it rolling over, or fouling. The gear I throw it on varies depending on the model, but for the 178 model I throw it on the a Falcon Bucoo 7’6 Heavy, it has a slower taper allowing me to chuck this bait a mile and keep fish pinned. 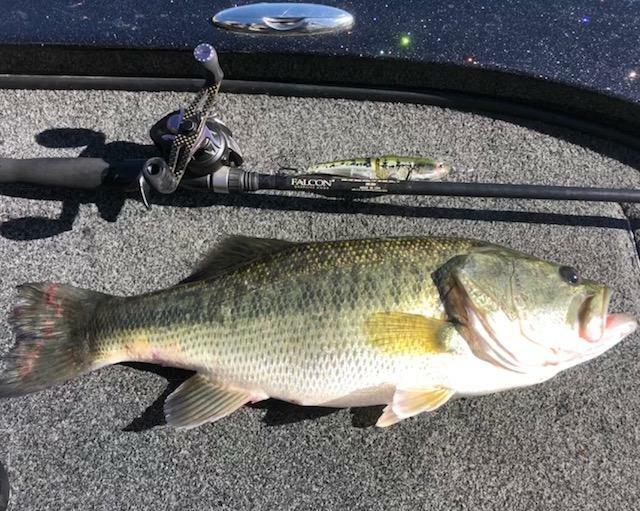 I recommend a 7’2 to 7’6 rod with a slower tapered rod for this bait, with two sets of treble hooks and the way fish will swipe at it your hook up/land ratio will go up with a little more give to your rod. 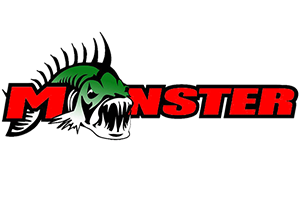 As far as the line I use 17-20lb fluorocarbon or mono for the 178 and 12-15lb for the 125. With floating versions if I want it to wake or just barely work them under the surface I opt for mono, to get down a few feet I go fluorocarbon. I always throw the sinking version on fluorocarbon. Reel speed is always a 7:1 for me.